Senator Ali Wakili (Bauchi South) yesterday slumped and died in his Gwarinpa Abuja residence. The 58-year-old reportedly died of suspected heart attack around 11am. He was said to have been confirmed dead at a hospital he was rushed to for medical attention. 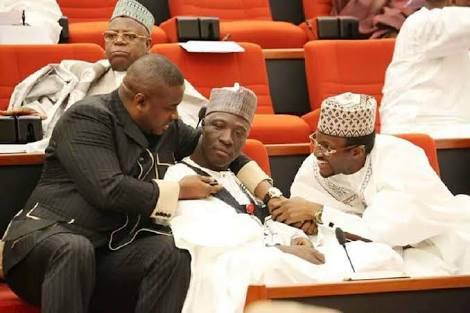 The lawmaker was one of the nine senators who vehemently opposed the controversial Electoral Act amendment 2018. Led by Senator Abdullahi Adamu, Waliki was one of the senators who stormed out of the chamber to register opposition to adoption of the conference report of the two chambers on the sequence of elections. Wakili was also largely seen as one of the eyes of President Muhammadu Buhari in the Senate. Buhari, Senate President Bukola Saraki, his deputy Ike Ekeremadu and Speaker of The House of Reps Yakubu Dogara expressed sadness over his demise. The President said that the death of the senator came as a great shock to him, adding his dedication to duty would remain one of the greatest virtues for which the deceased would be remembered. Buhari, in a statement by the Senior Special Assistant on Media and publicity, Garba Shehu, said: “The passion for duty was one of the finest qualities of late Senator Wakil”. Saraki, who led a delegation of Senators to his residence for condolences, described the deceased as a vibrant lawmaker. Ekweremadu expressed shock and sadness over the incident, describing Wakil as a “diligent and courageous lawmaker”.